Don’t hesitate to call Chuck Prieur at 800-525-7038 if you have questions. Cleaner Times will work for you. please use our Hightail uplink. 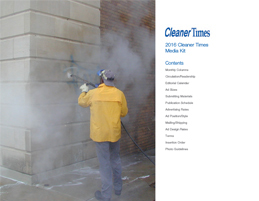 Cleaner Times magazine is the only technical journal exclusively serving the Pressure Cleaning, Water Blasting, and Water Jetting industries. 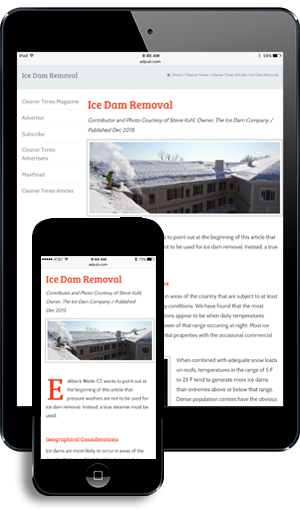 Advertising in Cleaner Times will increase your sales by delivering your product message to the industrial users, distributors, manufacturers, suppliers and contract cleaners who make the buying decisions in this expanding market.